Jennifer Worth came from a sheltered background when she became a midwife in the Docklands in the 1950s. The conditions in which many women gave birth just half a century ago were horrifying, not only because of their grimly impoverished surroundings, but also because of what they were expected to endure. But while Jennifer witnessed brutality and tragedy, she also met with amazing kindness and understanding, tempered by a great deal of Cockney humour. She also earned the confidences of some whose lives were truly stranger, more poignant and more terrifying than could ever be recounted in fiction. 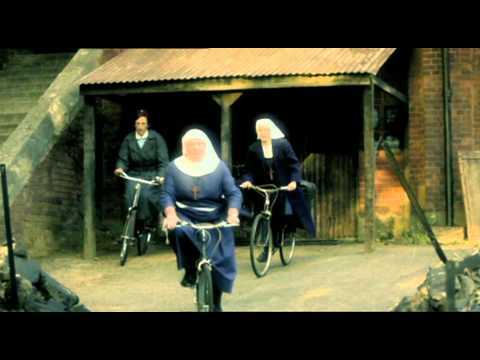 Attached to an order of nuns who had been working in the slums since the 1870s, Jennifer tells the story not only of the women she treated, but also of the community of nuns (including one who was accused of stealing jewels from Hatton Garden) and the camaraderie of the midwives with whom she trained. Funny, disturbing and incredibly moving, Jennifer's stories bring to life the colourful world of the East End in the 1950s. Jennifer Worth trained as a nurse at the Royal Berkshire Hospital, Reading, and was later ward sister at the Elizabeth Garrett Anderson Hospital in London, then the Marie Curie Hospital, also in London. Music had always been her passion, and in 1973 she left nursing in order to study music intensively, teaching piano and singing for about twenty-five years. Jennifer died in May 2011 after a short illness, leaving her husband Philip, two daughters and three grandchildren. Her books have all been bestsellers. Such a great book. Interesting, funny, sad, and a a great reminder of how incredibly tough times were, not all that long ago. Easy to read, and although not exactly 'literary genius' in terms of how well written it is, the fascinating and inspiring true stories make up for it. As a fan of the TV show, I thought this book would retell the stories I'd seen. It didn't, although many of the characters were there. I found it a very interesting and thought-provoking read. I'm now inspired to visit the area that was written about to see how it has been developed in the last 60 years. Not recommended for a mother-to-be. A fantastic insight into the life of a midwife in the 1950s. Great for all ages. This book was all that was said about it. Terrific insight into post war London and the struggles of nurses and midwives to assist the poorest in their homes. Recommended reading for anyone interested in district nursing, midwifery, humanities or history. Terrific insight into societal struggles with birthing, relationships, mental health, familial interactions. Gripping. Thank goodness we have moved on from those days.